We are dedicated to helping create and sustain a vibrant New York City. We do this by investing in leaders, the organizations that develop them, and the networks of which they are a part. The foundation is the namesake of Robert Sterling Clark, a member of the prominent New York business family, who lived from 1877-1955. Much of the Clarks’ wealth came from their relationship with the Singer Corporation, the leading purveyor of sewing machines. Clark’s father, Edward, is credited with helping create a global market for then-new Singer sewing machines in the late 1800s. Robert Sterling Clark and his wife Francine were avid art collectors, and eventually went on to found the world-renowned Sterling and Francine Clark Art Institute in Williamstown, Massachusetts. The couple also had a heart for broader philanthropic causes outside the realm of the arts. Robert Sterling Clark incorporated his eponymous foundation in 1952, and it was endowed three years later upon his passing. Forward-thinking ahead of his time, Clark left no specific directives for how foundation resources should be allocated—instead preferring to defer to evolving philanthropic needs. As the world would change, so too was the foundation free to adapt and prioritize projects and areas of grantmaking focus. The gift of freedom and flexibility that Robert Sterling Clark gave his foundation is one we celebrate, as it has brought us to where we are now. Today, the foundation champions leadership development—investing in individuals and the organizations that develop them, building the field, and commissioning key pieces of leadership research. Learn more about our philanthropic investments. Our approach is rooted in trust-based philanthropy—we consider our grantees to be true partners, and we empower them to keep their focus on their important work by reducing the demands often associated with grant applications and reporting. We also prioritize allocating unrestricted, multi-year grants whenever possible. Learn more about trust-based philanthropy. James Allen Smith is Vice President and Director of Research and Education at the Rockefeller Archive Center. His career has spanned academia and philanthropy. Before joining the Archive Center in 2008, he held the Waldemar A. Nielsen Chair in Philanthropy at Georgetown University where he taught about philanthropy and civil society. Prior to that, he worked with the donor to establish the Howard Gilman Foundation and was its first executive director. He was one of the founders of and served for eight years as board president of the Center for Arts and Culture. He was also a founding board member of the Creative Capital Foundation. He is a trustee emeritus of Colgate University, his undergraduate alma mater. He earned a Ph.D. in medieval history from Brown University and studied as a Fulbright Fellow at the University of Ghent (Belgium). He is the author of three books, including The Idea Brokers: Think Tanks and the Rise of the New Policy Elite, and has written widely about philanthropy, civil society, and cultural policy. Julie C. Muraco is founder and Managing Partner of Praeditis Group LLC, a capital markets and business consultancy working with serial entrepreneurs, family offices, UHNW investment vehicles, and foundations and endowments seeking direct and secondary investments and alternative strategies. She is te Chair-elect of the Board of Directors for Americans for the Arts in Washington, D.C., the nation’s leading nonprofit organization for advancing participation in the arts. Julie is also a member of the national advisory council for Springboard Enterprises in Washington D.C., and of the board of trustees for the Duke of Edinburgh Award U.S.A. She is FINRA licensed with a Series 7, Series 63, and Series 79. Julie holds a B.A. in finance from Baldwin-Wallace College in Berea, Ohio. She resides in New York City and Aspen, Colorado. Paul R. Dolan is the former Executive Director of ABC News International and manages negotiations and news exchange agreements with broadcasters from Australia, China, India, Germany, France, Russia, and other countries. He has also served as Editorial Manager of the ABC News program 20/20. He served as Executive Director of the One to One Foundation, which was based at ABC and funded civil rights, housing, and journalism projects focused on the developmentally disabled. Mr. Dolan helped coordinate the philanthropic response of The Walt Disney Company and ABC following the 9/11 terror attacks. He also edited the report for the Regional Plan Association, which helped lead to the successful preservation of the 22,000-acre Sterling Forest. As a Deputy Director for Governor Hugh Carey Mr. Dolan helped edit and review an independent council’s report on the finances and operations of New York’s educational, health, prison, and mental health systems. Daisy Auger-Dominguez is a top human capital executive, inclusive leadership expert and organizational strategist transforming the leading companies of our times by showing them how to shift their mindsets and operations with a lens on inclusive leadership. With two decades’ experience leading organizational transformations at The Walt Disney Company, Google and Viacom, she has driven innovation, collaboration and profitability by forging more diverse and inclusive workplaces. She is recognized for her ability to quickly form, inspire and retain high-performing teams that build equity in the workplace and drive measurable impact. A dynamic and sought-after speaker, Daisy also writes about corporate culture and values, inclusive people strategies and leadership. Daisy is also an advisor to social impact organizations and startups, and serves on the board of directors of Planned Parenthood Federation of America, the Brooklyn Children’s Museum, and the advisory board of Facing History and Ourselves. She is a Dominican-Puerto Rican-American who grew up in the Dominican Republic and now lives in Brooklyn with her husband and daughter. Diahann Billings-Burford is the CEO of the Ross Initiative in Sports for Equity (RISE), a national organization that educates and empower members of the sports community to eliminate racial discrimination, champion social justice and improve race relations. Prior to this role Diahann has worked in private, the not for profit and public sector to leverage resources to address societal ills. Most recently she served as an Executive Director at Time Warner Inc., where she serves as a member of the Cultural Investments’ team and has primary responsibility for the strategic direction of philanthropy, the programs and resources provided to stimulate and support employee community engagement, and community investments. In 2009, she was appointed by Mayor Michael R. Bloomberg as Chief Service Officer for the City of New York and headed NYC Service, a division of the Mayor’s Office with the mission of tapping the power of the people to meet pressing challenges. During her tenure, NYC Service engaged over 1.3 million New Yorkers in a wide range of volunteer activities. Diahann began her career with a focus on equality of educational opportunity holding positions at Prep for Prep, City Year New York and Achievement First Charter Schools. Diahann currently serves as a board member for buildOn and Philanthropy New York. 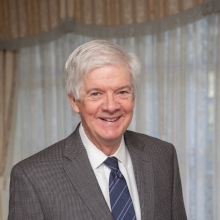 Vincent McGee is a longstanding foundation executive and donor advisor. He is also active as an advocate for human rights, non-violence, and access to health care. In 2014 and 2015 he served as the President and CEO of the Robert Sterling Clark Foundation. Earlier assignments included executive leadership of the Aaron Diamond Foundation and the Irene Diamond Fund, Senior Advisor at Atlantic Philanthropies, and board leadership at the Overbrook Foundation, Tides, The Gagarin Trust, Food Change, Hunt Alternatives Fund, D.J.B. Foundation, PATH, and Amnesty International USA. Currently Vinny is President of Frontline Foundation USA, on the boards of The Sister Fund, The Balm Foundation, The Amagansett Food Institute, The Faculty of Liberal Arts and Sciences of the State University of St. Petersburg, Russia, and The Center for Civic Engagement at Bard College. Vinny is a graduate of the University of Rochester and received an Honorary Doctorate in Law from the Graduate Center of the City University of New York in 2002. John Hoyt Stookey was Chairman of National Distillers and Chemical Company and subsequently of Suburban Propane, LLC. He has served as a director of nine New York Stock Exchange corporations, five foundations, and over 50 other companies and nonprofits. John has founded five nonprofit organizations: Landmark Volunteers, Per Scholas, The Berkshire Boy Choir, The Berkshire Choral Festival, and the Lobster Boat Project. John is a graduate of Amherst College and Columbia Engineering School. He is a pilot with 2,500 hours of flight time and a canoeist who has led 14 expeditions on a variety of waterways. He lives in Great Barrington, Massachusetts. Philip Li is the President & CEO of the Robert Sterling Clark Foundation, where he oversees all aspects of the Foundation management, including finance, program development, grantmaking, and relationships with peer organizations. Prior to joining the foundation, Phil served as the Chief Operating Officer at The Century Foundation, a public policy think tank, and at the Brooklyn Community Foundation, where he helped the organization convert from a private foundation to a public charity. For four years he led the philanthropic practice at Changing Our World, a nonprofit consultancy and prior to that he worked with the Annie E. Casey Foundation on two of its leadership development initiatives. Phil served as the Executive Director of the Coro New York Leadership Center, a nonprofit that trains and develops individuals interested in public affairs for four years. He was introduced to Coro as a participant in its Leadership New York program, which prompted him to jump to the nonprofit sector from Wall Street. He started his career at Merrill Lynch and finished as a junk bond analyst with Moody’s Investors Service. Phil currently serves as the board of Grantmakers for Effective Organizations and is the immediate past chair of Philanthropy New York, the regional association of grantmakers in New York City. A graduate of the University of Pennsylvania, Phil has a BA in Economics and Biology and an MBA from The Wharton School in Finance and Strategic Planning. Lisa Cowan is the Vice President and in this capacity she helps with strategy, development and oversight of foundation programs and grantmaking. Lisa has been working with community-based organizations for the last 25 years, first as a community health educator and program director at several youth-serving agencies, then as a Senior Consultant at Community Resource Exchange. Lisa was the Co-Founder of College Access: Research and Action, where she continues to act as an advisor. Most recently, Lisa was the Principal Consultant at Hummingbird Consulting from 2013-2016. Lisa sits on the board of Brooklyn Workforce Innovations. She served as the Board President of the Red Hook Initiative from 2005-2013. Lisa is a third-generation New Yorker. She graduated from Wesleyan University and was a Coro Fellow in New York City. She lives in Brooklyn with her family. Brooke has spent the past 17 years working as a nonprofit leader, policy advocate, and lawyer at social change organizations throughout the country. She has founded multiple successful organizations and initiatives, including the Resilience Advocacy Project (RAP), where she served as ED for 9 years. Brooke is also an Adjunct Assistant Professor at the Baruch Graduate School of Public Affairs, and provides consulting and facilitation for non-profit founders and leaders across the country. Prior to founding RAP, Brooke worked as a Skadden Fellow, and then as a staff attorney in the areas of public benefits, and child care law and policy at the National Center for Law and Economic Justice. Brooke has also worked as a health policy advocate at the Children’s Defense Fund-NY, taught the history of poverty law and social policy at Tufts University, and consulted on welfare policy reform for the Center for Law and Social Policy. She has been a featured speaker and visiting lecturer at numerous law schools, including Harvard, Columbia, NYU, Fordham, Brooklyn, and Suffolk, and has published articles and presented papers at conferences and trainings throughout the country on social entrepreneurship, non-profit management, community lawyering, youth empowerment methodology, and the laws and policies concerning government subsidized child care, welfare reform, and child support. She has been the Chair of the Social Welfare Committee of the NYC Bar Association, and has served on the board of directors of several non profit organizations, including Community Voices Heard, Atlas DIY, and the Community Resource Exchange, on which she currently serves. She is a Harvard Law School Wasserstein Fellow, a recipient of the Skadden Arps Public Interest Law Fellowship, a finalist for the Echoing Green Social Innovation Fellowship, and a CORO Leadership alumna. Brooke received both her JD and MPP from Harvard, and her BA from Yale. She lives in Brooklyn with her husband and 3year-old son. Alicia Sylvia is the Sterling Network NYC Associate, an initiative of the Robert Sterling Clark Foundation. Alicia supports the growth, coordination and operations of the Sterling Network. She helps foster and support the relationships with Network Participants to build cross-sector partnerships and collaborations that bring about real-world, concrete systems-change. In addition, to her role, Alicia represents the Foundation on several initiatives and builds relationships with other funders and grantees. Prior to joining the Foundation, Alicia worked for a number of health-related organizations that have contributed to her extensive knowledge of business and operational procedures in both the private and public sectors. Alicia holds a B.A. degree from Hunter College, City University of New York. Daisy Martinez is the Operations Manager at the Robert Sterling Clark Foundation. Daisy is responsible for executing the administrative responsibilities throughout the organization. 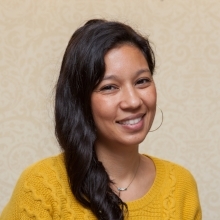 Prior to joining the Clark Foundation, Daisy worked for over 11 years at Philanthropy New York as the Office Manager, where she managed the office procedures and conference room facilities. Daisy holds a BA degree on Hospitality Management from Monroe College.